On Facebook recently, an ex-mainstream reporter ridiculed the #FreeNajib meme as #NajibPercuma. Having being in media for decades and written columns and features, he should be considered journalist but such mentality makes him no different from cub reporter right of a Seremban secondary school. Dato Najib have been subjected to far worse insults but for that to come from an ex-mainstream reporter, who was actively lobbying and getting PR job from previous PMO and getting money in the multiples to the dedak Najib allegedly gave out to his dedicated cybertroopers, it is uncalled for. Such ungrateful behaviour and pro-government media switching side and resorting back to the pre-Abdulah Badawi level of devious reporting and crass propaganda makes many unsympathetic to the fate of media companies. They can play the role as mouthpiece of government but do so professionally as an informed journalist with fair level of objectivity and critical thinking. Reporters are still picking snippets for story than true reporting of events. Lately, the reports in the media are so tame as though reporters are afraid to ask questions. In the case of the charges on Tan Sri Irwan Serigar and Dato Najib, the media failed to ask the pertinent question. Several documents protected under the Official Secrets Act (OSA) will be declassified so that they can be used in the trial of former premier Najib Abdul Razak and former Treasury secretary-general Irwan Serigar Abdullah, who are both facing RM6.6 billion criminal breach of trust charges. Lead prosecutor Gopal Sri Ram revealed this when Irwan’s lawyer K Kumaraendran requested for all documents to be served to them before the next fixed date for case management on Dec 7. 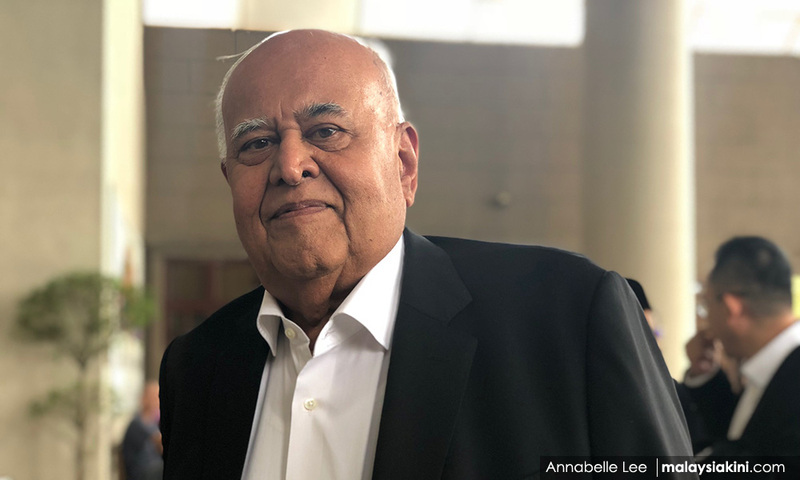 “We cannot accommodate that request because several of the documents are under OSA … and it takes time to go through the declassification process,” Sri Ram said in the Kuala Lumpur Sessions Court before judge Azman Ahmad today. Sri Ram, who is a former Federal Court judge, said that the prosecution is currently in the process of serving 224 documents to the defence counsel, which represents about 70 to 80 percent of all documents they intend to tender in the trial. Najib and Irwan had earlier filed an application to transfer the case to the High Court, which will be heard before the registrar tomorrow. Najib is represented by lawyer Muhammad Shafee Abdullah, while Irwan is represented by K Kumaraendran and Geethan Ram Vincent. 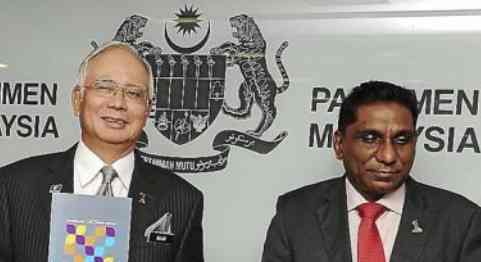 Najib and Irwan were charged on Oct 25 with six counts of CBT of RM6,636,065,000 of funds belonging to the government. They were alleged to have committed all the offences at the Finance Ministry Complex in Putrajaya between Dec 21, 2016 and Dec 18, 2017. We are not against the corruption charges made against Najib, Zahid, Musa Aman, and many others. As long as justice is served and truth prevailed, the political fallout to UMNO is secondary. Malaysia Baru media should be playing their role truthfully and diligently without fear and favour to the ideal expectation of Pakatan Harapan in the mould of mature democracies. Yours truly may have the benefit of coming across such comment in social media of Investigation Paper (IP) not completed but charges already made in court. And subsequently we managed to confirm with one of the many politicians faced with changes and insider court officials. We failed to comprehend why reporters did ask him Gopal the right question. Obviously, documents not declassified yet thus MACC or any other investigator have not seen the evidences. It also mean the evidences are not in the IP and MACC should not be blamed. The power to charge is AG or in this case, defacto AG, Gopal. The likelihood is Gopal may have charged Najib and Irwan based on an incomplete IP given by MACC or the IP from MACC need more material evidences to form a solid case. Suspiciously, it could be a case of charge first, investigate later. No wonder Irwan’s lawyer is complaining the documents have not been given to them. Earlier, Tan Sri Shafee Abdullah complained the written charges on Najib not given on the day charge is made in court and reason given is AG Chamber is short of printer. Immediatey upon winning the general election, Tun Dr Mahathir instructed to declassify 1MDB audit report. But it took him November to finally made an issue of the audit report. For this case, baru nak declassify, dakwa di mahkamah sudah buat? This is no rule of law but rule of Mahathir. The person we checked with is not Najib or Irwan and he too claimed to be facing the same problem of IP not ready but already charged. However, we are aware his files have been in AG office for quite awhile. It could mean the cases are not solid yet for prosecution and is incomplete for charging but acting AG, Gopal still send it to the court to gain political mileage. It is not difficult to figure out. Case management could take two years, and by the time it goes to triall, it will be hogging the newspaper frontpage and 15th general election is called. After 15th general election, most of the cases could be lost but they are around to benefit from the lies and slander from 2015 to 2018. Doubt newsman could not suspect this to happen. Unless they are too dumb, how could statement of Gopal not arouse their curiosity. One PMO officer blasted a media company for not giving him coverage. The story reached us in such form. Maybe the real story is the reporter keep losing the crux of the issue he raised or was asking irrelevant questions. For the officer benefit, it could a case of lack of knowledge. Maybe the reporter hardly read or just an SPM school leaver from Tampin. At Utusan Malaysia, the de facto Chief Editor was and still a boat builder. This is the most critical problem of local mainstream media.